Is this the end of the open plan office? The workplace is experiencing the most radical period of change since the 1940s. Rapid technological advancements, the need for talent retention, improved understanding of the way work effects people and a constant drive for productivity means that worldwide experimentation is taking place to create the new office design ideology. From Apple’s monumental 175 acre ‘donut’ offices to the scalable and community-based co-work offerings of WeWork, there are now a much wider range of workspaces available than ever before, but what are the advantages and limitations of the current trends we have seen. And how do they differ from those that went before them? And more importantly, what can we expect in the future? The concept of the open plan office began to take shape at the turn of the 20th century, and not only was it a revolution in the way people worked, but also in architecture. Early proponents of open plan, including American architect Frank Lloyd Wright deployed innovative techniques in offices built in the early 1900s which flourished with the arrival of skyscrapers in the same period. The promise of more light, more space, and effortless collaboration offered workers a healthier more productive working life. The early 1950’s saw the birth of Bürolandschaft (office landscape). The office landscape concept, which originated from Germany, used organic groupings of desks in patterns designed to encourage conversation and create a happier workforce. Typical designs used contemporary but conventional furniture, with file cabinets and large potted plants to partition and screen desks, creating some sort of intimacy. In the following decades the idea of an open plan office flourished and matured, and whilst in some nations, notably the US, there was some resistance, this format of open plan office design was the dominant form by the turn of the 21st century. But things are changing. Studies highlight growing dissatisfaction with open plan offices, with the design in fact negatively impacting health, happiness and productivity. 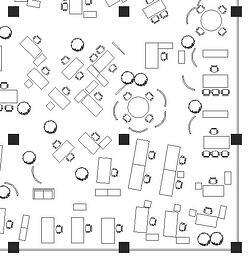 A study of 40,000 office workers in the US found overwhelmingly that enclosed private offices outperformed open plan layouts in most aspects of IEQ, particularly in acoustics, privacy and proximity issues. A white paper by Haworth found workers were losing as much as 28% of their productive time due to interruptions and distractions. 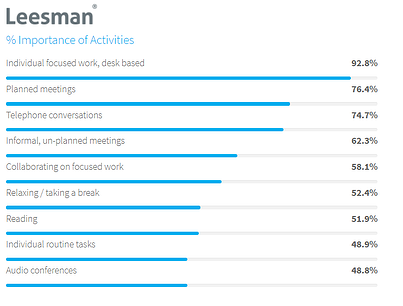 The Leesman index, which has surveyed nearly 300,000 employees at over 2000 offices, finds that individual, desk based, focused work is still seen as the most important activity to workers (92.8% found it important), but only 58.2% agreed that their workplace enabled them to work productively. What it all boils down to is people feel they are constantly being interrupted, are twice as likely to get sick, have no control over their immediate environment, and in turn are unproductive. So if the open plan office is on the way out, what are our options and what are the current ideas being looked at? The cellular (or modular) office is the antithesis of the fully open plan office. With each worker designated to their own individual cubicle, privacy and concentration is paramount, whilst interactions are cut to a minimal. The original cubicle was designed by Robert Propst in 1964. A reaction against the open office 'bull-pen' he had grown up with, Propst's "Action Office" (as it was called then) provided the worker with their own space, a huge desk, and everything within reach, all partitioned to keep distractions out. The action office was meant to set the worker free, but competition meant the cubicle got smaller and smaller, until it became more of a trap. 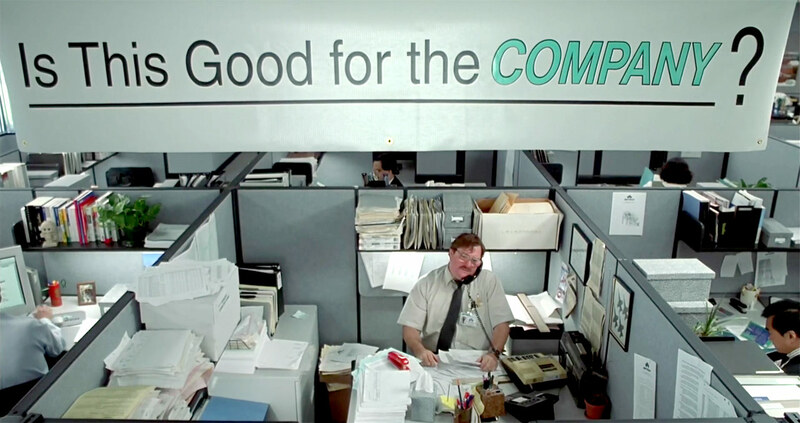 By the 1990’s modular offices were seen as the embodiment of corporate identity, and they were a central theme in cultural critiques of the workplace such as the movie Office Space (1999) and the Dilbert comic strip, which portrayed life in the cubicle as a form of modern day enslavement. However, with open plan increasingly under-attack, a combination of technological advancements and the recognition of designing offices for wellbeing and happiness, cellular office design could well have a bit of a renaissance. AirBnB for instance, who pride themselves on acting differently to other modern start-up giants, have an in-house team who are tasked exclusively with creating versatile modular spaces, often based in their host properties around the world. There are several advantages to the cellular office. Firstly they are easy to implement. Many furniture manufacturers have modular furniture, and they can utilise open plan office space. All you need for a simple cubicle is the right layout and a number of partitions. You can even buy modern stylish all-in-one cubicles designed specifically for meetings, conversations, phone calls or focused task work. Stick in a versatile chair and you have a modern stylish "action office". Secondly they provide a greater level of privacy than fully open plan, enabling greater focus and concentration. It also creates an increased feeling of responsibility, which is good for morale. Also, by restricting staff interactions to deliberate events, it can often make them more meaningful and productive. On the negative side, despite the advances in office design, workers still report feeling lonely and isolated when working in cubicles. In some industries restricting ad-hoc collaboration can inhibit creativity. Because of these issues, it is no surprise that a current trend in office design sees a combination of both these types of offices, creating work zones dependant on tasks. The next-generation office is an amalgamation of all the positive aspects of offices past, a combination of private office space, cubicle banks and truly open plans alongside well designed communal areas for relaxation, eating and less formal collaboration. They also come with sound-proof rooms where employees can retire to for maximum concentration on solo-work. This design provides employees with the autonomy to set their own working conditions. Providing the benefits of both open plan and modular offices, sprinkled with all the latest innovations in office design, the flexible office attempts to truly maximise performance, productivity and well-being. It allows for focus and collaboration, when it matters. A recent study highlighted that collaboration is an important factor for business success, so removing it completely isn't necessarily the best option. The flexible office seems like the perfect compromise, but there are drawbacks. 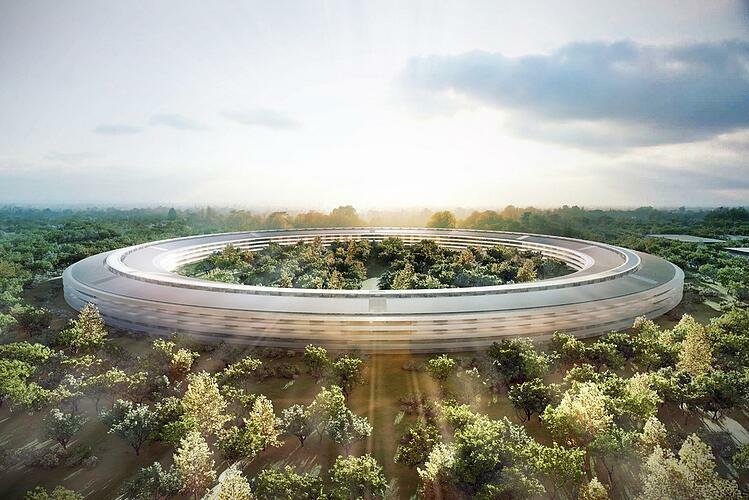 Earlier this year Apple opened their brand new 175 acre ‘spaceship’ complex in Cupertino, California. Conceived by Bill Jobs and designed by Norman Foster, Apple Park cost $5 billion, is home to 12,000 workers, and meticulously designed down to the last detail; seamless integration of every work and relaxion zone imaginable, including seven cafes, a 1000-seat auditorium, 100,000 sq ft wellness centre and a beautifully landscaped exterior - the ultimate office. But apparently not everyone is happy. Shortly after opening, rumours began to circulate that Apple employees didn't like their new digs. It is thought that although there were private areas available, they were limited and individuals still had to work in open plan areas for much of their time. Many developers who were used to private offices weren't happy, and although each floor has 80 private pods, split between 12,000 employees they don't stretch very far. Another negative of this sort of environment is that it can be quite expensive to implement. As you can see from the $5 billion price tag, not every company can afford to do this. Not every company has the space either to include such a variety of environments to cater for employee needs. This is where co-working fits in. The rise of modern era co-working spaces started with what were called hackerspaces; community-operated not for profit work environments where people with common interests, often in computers or technology, could meet, socialise and collaborate. C-base, founded in Berlin in 1995, is often considered the first one. Today co-working is big business, with a multitude of locations offering a variety of workspaces around the world, with flexible rates for different sized organisations to rent on a daily to annually basis. WeWork is the biggest player in this market, with a company valuation of $20 billion and a footprint in 54 cities worldwide. 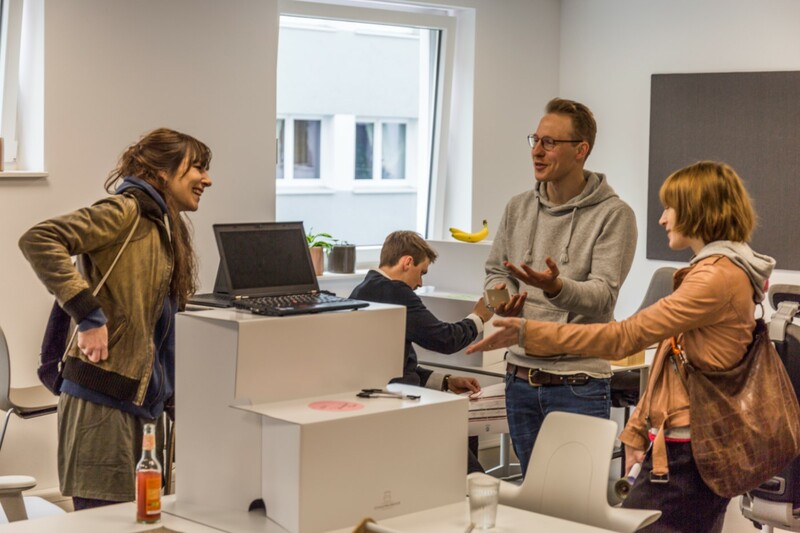 However, there are all sorts of coworking spaces offering different benefits, from low cost no frills environments to onsite day care for young parents. Many of the high-end co-working spaces offer the flexible office landscape, without having to make a massive investment, and are great for start-up companies hoping to make the most of a flexible environment. They are also great for scalable companies, who are rapidly growing, and regularly need more workstations for their teams. On the downside they can often be too social and you generally have no control over who you share your space with. If your work doesn’t thrive on collaboration and interconnectedness, it might not be the right setting. They can also be quite volatile. Without fixed workstations, you might end up working in a different place every day, which can be disrupting, and you could end up searching for your favourite chair every morning, only to find it in use. Research has shown that we offload memories in objects, and that working in the same setting everyday with the same furniture and objects, even smells and sounds, can aid in memory recollection. Technological advancements have meant that sometimes you don’t even need an office to work effectively. Remote working, where people work from home, or anywhere they can place their laptop, is a rising trend. Increased internet speeds, seamless digital information sharing and a premium on office space have all contributed to the rise of remote working. A recent survey of business leaders found that 34% said more than half their company’s full-time workforce would be working remotely by 2020. Of course, not everyone can remote work, - doctors, car mechanics, shop workers etc - but those who can often feel the benefits of it. If disciplined, remote workers have been found to be more productive and more happy. Unwanted distractions are cut to a minimal, the dreaded commute is removed, and the better balance of work and home life all contribute to this. Studies even show that remote workers put more hours in than those based in the office. On the negative side, remote workers can often feel isolated and cut off from other colleagues and find it hard to switch off in their personal time, with the home becoming synonymous with the office. Whilst technology has been almost universally embraced, it is also feared. More than 70% of US citizens fear that robots or AI could take over their lives, making them redundant. Hyper intelligent computers and increased automisation have led to inventions such as driverless cars and robot carers for the elderly, and studies suggest up to 15 million jobs in the UK alone could be replaced by artificial intelligence. There are, however, many benefits we could take from technology to enhance our offices, and make them the technological office of the future. The internet of things is making ground in the home market, with devices such as Amazon echo, smart fridges, and phone controlled heating, but the office is less advanced. In the future, we might all be able to manually adapt our individual work areas to our own likes, and all at the touch of a button, or even a thought. 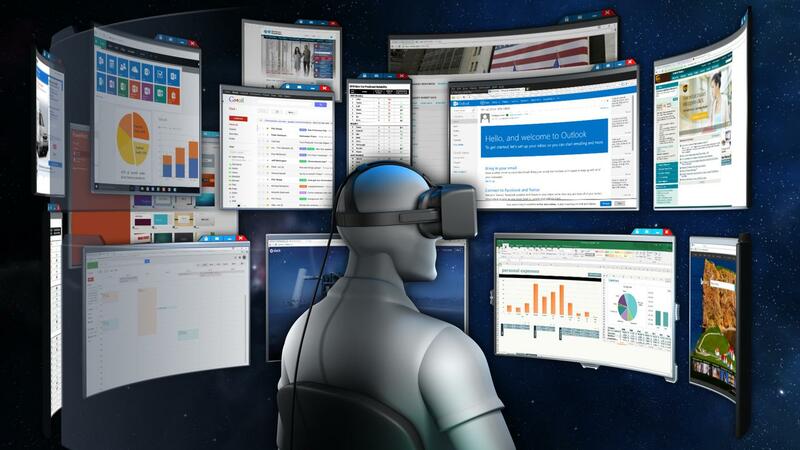 Right now, there is no definitive answer to what the office of the future will be like. Different designs work for different people, and new ideas and advancements are keeping the future a mystery for now. But one thing is for sure, change is coming.